Yes it is! Modern wood burners are incredibly efficient and many models are now classified as ‘exempt appliances’ which means that they have undergone rigorous testing to ensure that they demonstrate particularly clean burning combustion. In the UK suitable models have been granted exemption from the regulations by the government through DEFRA. Swedish stoves that are suitable for smoke control areas carry the Nordic Swan Mark. 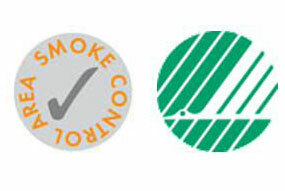 If you live in a Smoke Control Area please let us know and we can give you further help and advice.